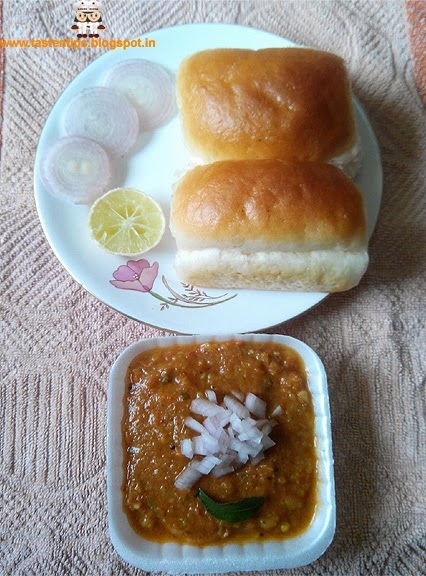 Pav Bhaji !!! A great kids pleasure and liked by almost everyone. This is a very popular fast food recipe. A well loved dish all over India. This is a spicy preparation with a mixture of vegetables, a generous dose of fresh tomatoes, a dollop of butter, served with pav which is toasted to perfection with oodles of butter.Top the bhaji with raw onions, coriander leaves, squeeze a tad of lemon atop it and enjoy !! 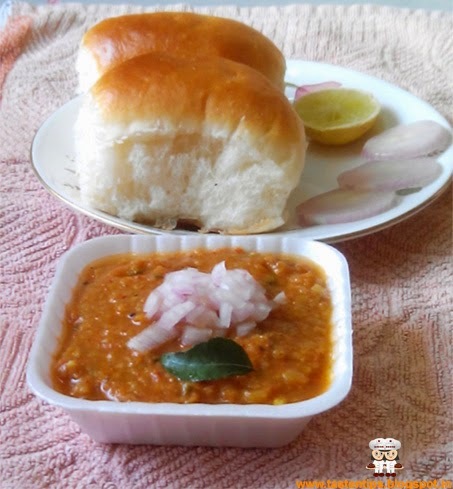 Pav Bhaji an all-time, any-time favourite of Mumbaikars. Now one of the most popular dish in metropolitan areas in India, especially central and western India. 1. Boil potatoes, capsicum, cabbage, carrot, green peas, cauliflower, french beans. 2. Mash boil vegetables. Mash them lightly not make a fine pest. stir it for some time. Add tomatoes cook till it become soft. 5. Now add red chili powder, turmeric power, coriander powder, pav bhaji masala. cook on medium heat for 5 mins. 7. Bhaji is ready to serve. 1. Slit pav buns horizontally from the middle. 2. Apply butter on cut surface & fry in hot pan. 3. Remove when it is golden. coriander leaves, a small piece of butter (optional) over bhaji. 2. Serve hot with pav. 1. Pour lemon juice at the time of serving. 2. 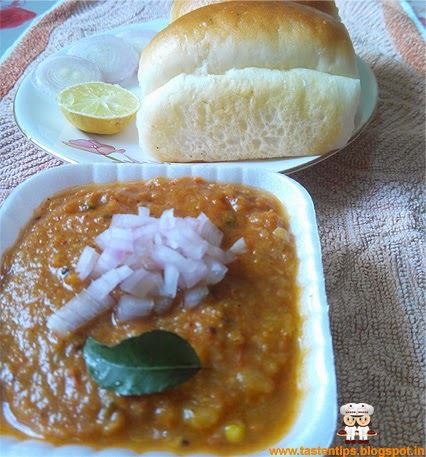 Tomato puri can be used in place of chopped tomato. 3. You can use pav bhaji masala & other spices according to your taste. 4. Bhaji can be fried in butter.